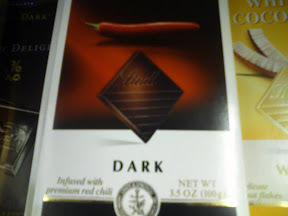 Dark chocolate infused with a chili pepper? I don't know about that, but my curiosity is getting the best of me. I just may have to buy one, but not at CVS prices (where this picture was taken). is that a whole chili pepper?